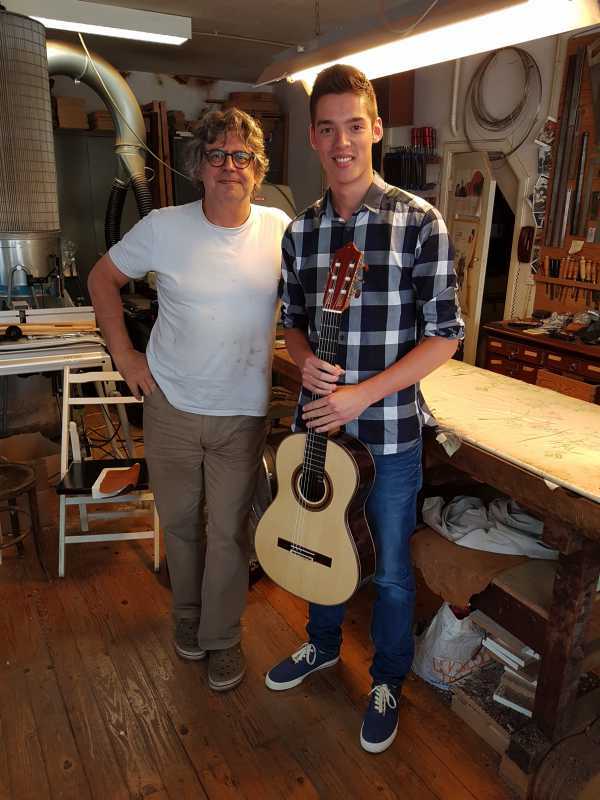 This is Maarten Oomes, a young, Dutch guitarist, who came to my workshop to pick up his new guitar. In the video below you can hear him playing it for the very first time, performing the well known Recuerdos de la Alhambra, by Francisco Tarrega. 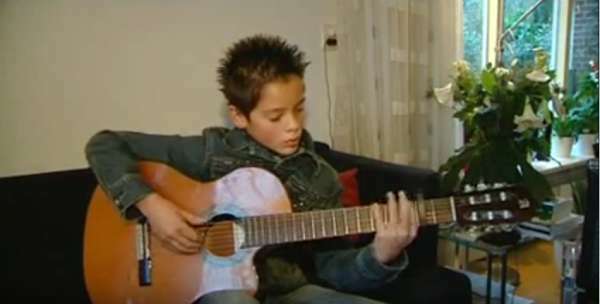 Maarten started playing at a young age and soon turned out to be a very talented player. Under supervision of his teacher Jan Penninkhof he won several prizes, among which the first prize of the Prinses Christina Concours and the National Guitar Award. Maarten Oomes seems to be a real Homo Universalis. In September he will start at the Erasmus University in Rotterdam studying Medicine. Due to a terrible occurrence, Maarten Oomes died on August 24, 2017.